So what I hear you say. If like me you’ve spent any amount of time searching for such a thing, you may have also noticed there is virtually bupkis in the way of such products to choose from. I come from the land of piggy back plugs: New Zealand. I’ve very much missed their convenience since moving to the UK. Okay, so they’re not as common in New Zealand as they used to be. 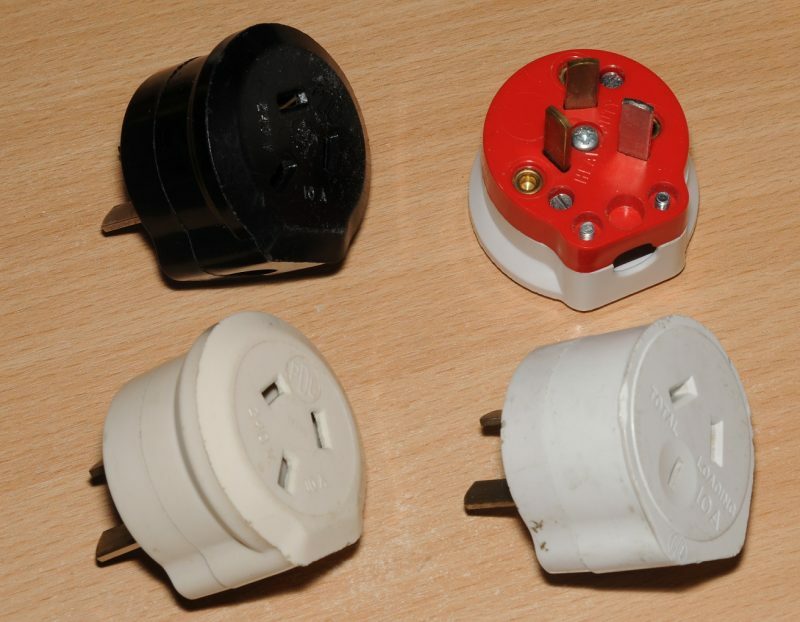 Thanks to regulatory crackdowns and changes in consumption habits, we can say in retrospect the 1990s was zenith of piggy back plugs (or tap-ons as we apparently call them). 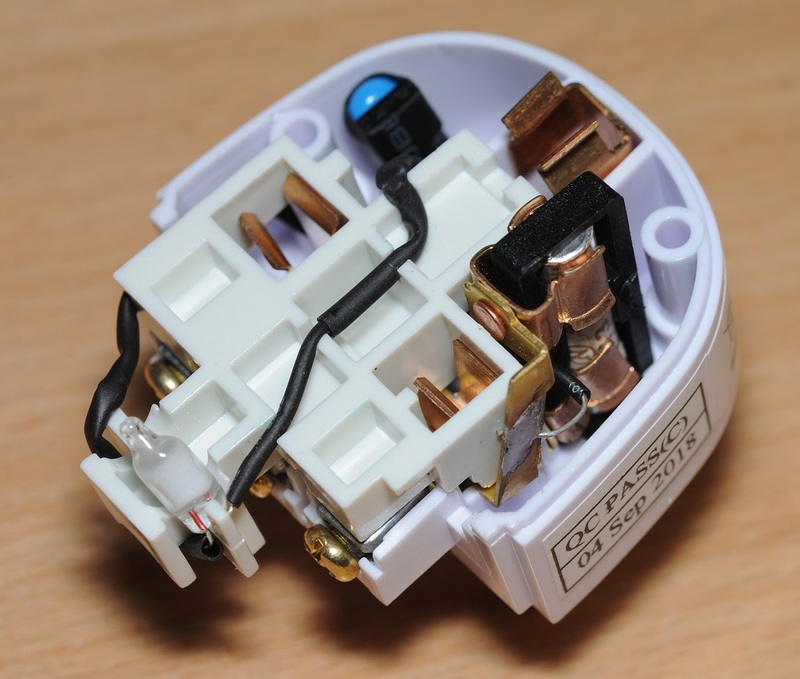 While the days of popping down the supermarket to buy one are unlikely to return, at least you can still get them on pre-made appliance and extension cords, and re-wirable ones can be purchased from electrical wholesalers. Changes to Australian electrical regulations have crimped Clipsal’s ability to manufacture these items but PDL still makes them (cat# 940). 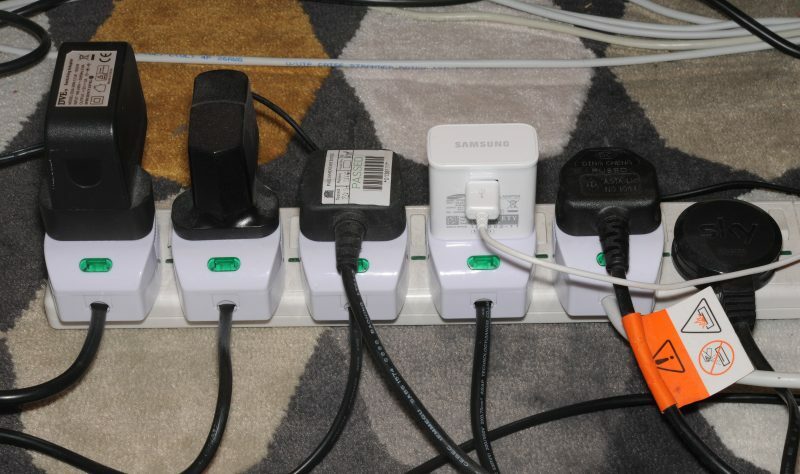 There are 5 appliances in this cramped domestic data cabinet, but only 4 socket outlets. Two PDL 940 piggyback plugs to the rescue! 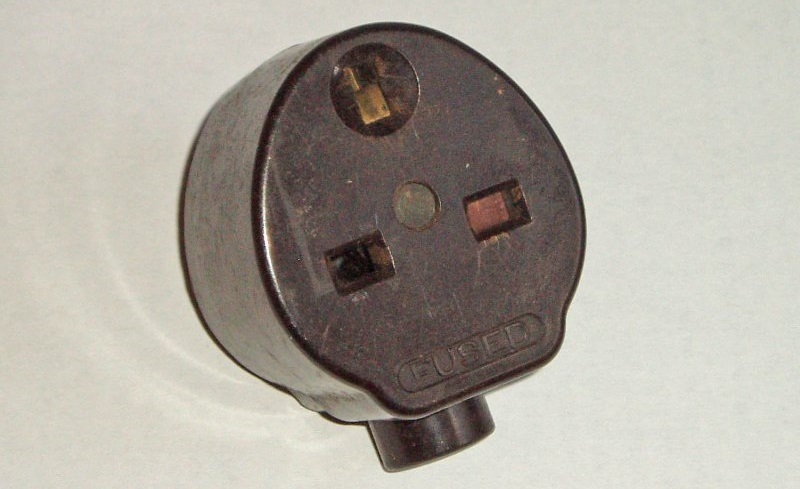 A very long time there was a company called Clix who manufactured the first BS1363 piggyback plug (more information here). As those are now collectors items, a modern replacement is desperately desired. Fortunately there are a pair of screws on the underside which let us look at the guts of it. 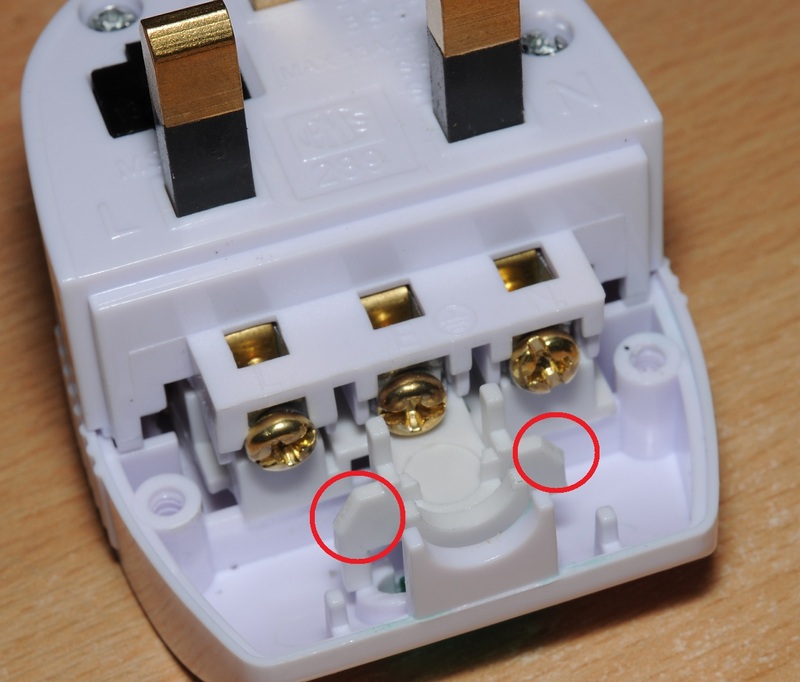 These don’t need to be undone to wire the plug. 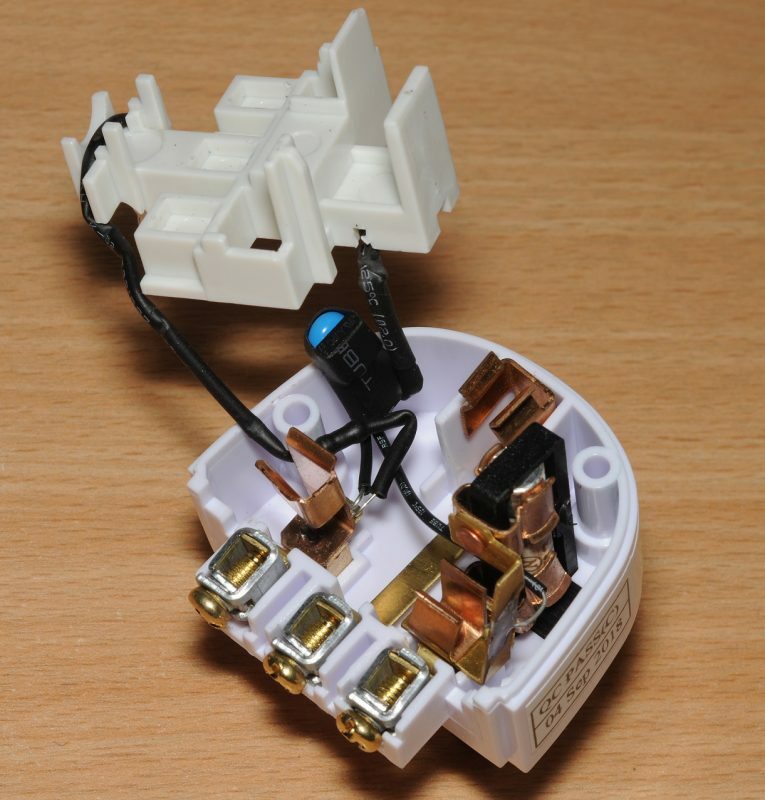 We are first presented with a plastic spacer which surrounds the socket contacts, and we can see the surge protection gubbins waving at us down by the neutral pin. This spacer also holds the (pointless) neon light. Quickly we can see my biggest concern with these plugs. 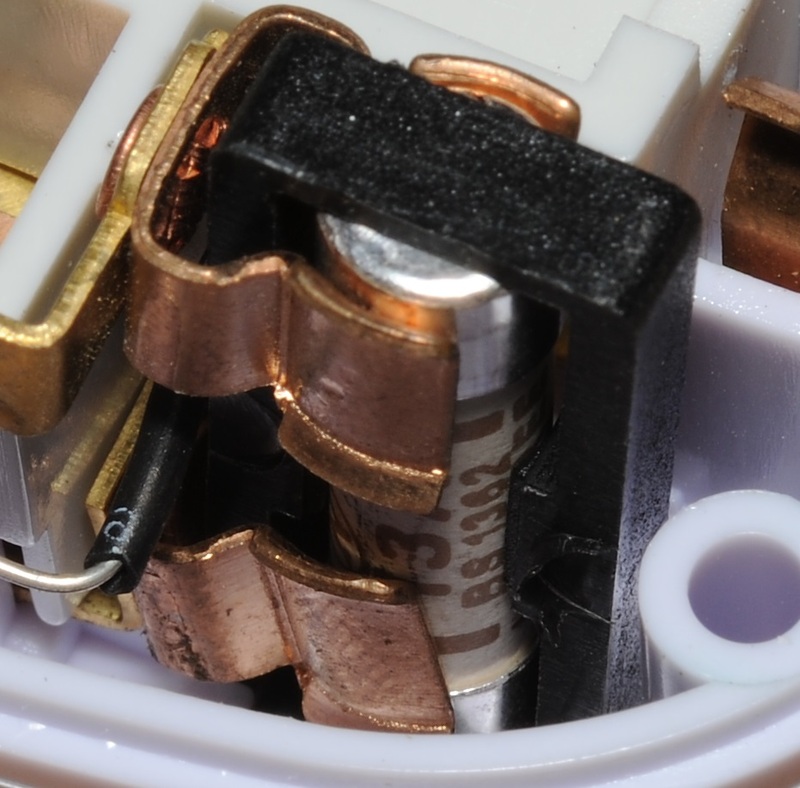 That contact is only just barely on the fuse. I’ve purchased a number of these, and can say they vary from unit to unit. This one isn’t so great. If concerned I’ve found they can easily be bent back into a sensible position with pliers. But regardless I’d pull that 13 amp fuse out and put either a 3 or 5 amp fuse in its place. I’d not be in the habit of using these plugs with 13 amps. Lifting up the spacer we can see the socket contacts and surge gubbins clearly. Once again, quality is less than spectacular. I cannot comment on the efficacy of the surge protection. 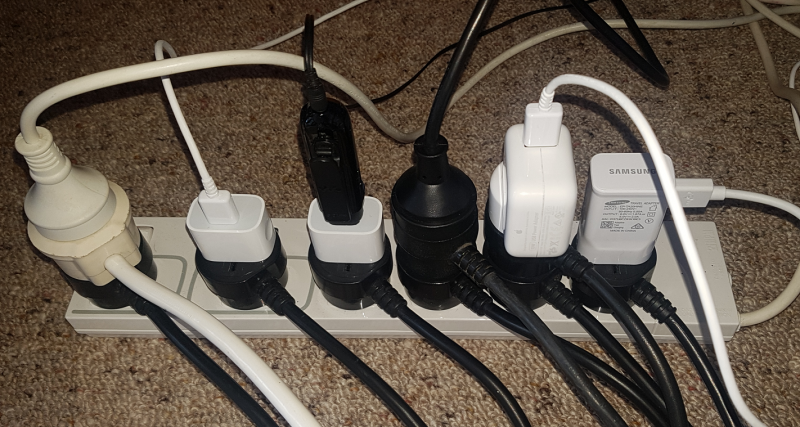 In my opinion surge protection is of little value, and in my case I have de-soldered all of these components, as well as the neon, because all I wanted was a plug. The one last gripe I have is with two protruding corners on the cradle which catch your screwdriver when you are tightening the line and neutral screws. I’ve clipped them off with side cutters (circled). Surge protection device? Even if the surge protection is effective, it’s not anything to get excited about. 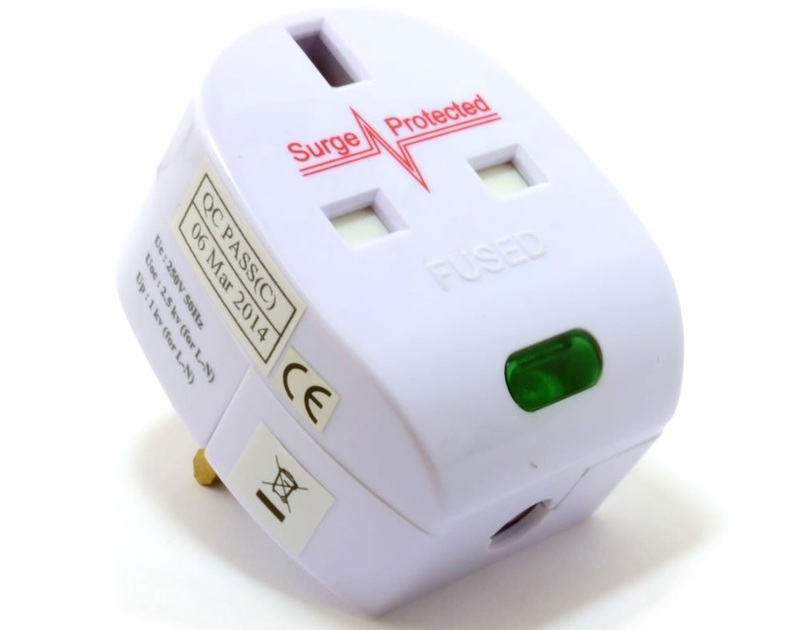 There are plenty of other better made surge protection devices to choose from. Piggy back plug? Definitely. Why the hell the seller isn’t advertising it as this, is beyond me. Apparently the idea of such a thing is so alien to the British that it has to have some useless surge protection jazz stuffed in it to make the sale? As I’ve said the quality of the contacts isn’t amazing, but it is acceptable, as this is the UK’s only piggy back plug, you’ve not got another choice. If you need something like this – buy a box of them now. Who knows how long these will be available for.